Home Blog What is ageing? 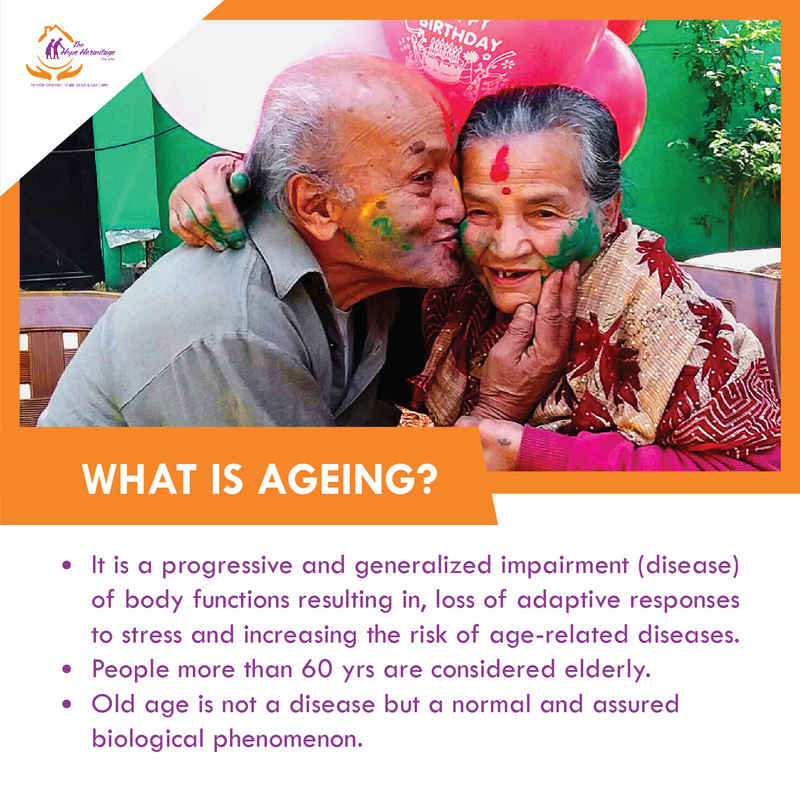 • It is a progressive and generalized impairment (disease) of body functions resulting in, loss of adaptive responses to stress and increasing the risk of age-related diseases. • People more than 60 yrs are considered elderly. • Old age is not a disease but a normal and assured biological phenomenon. © Copyright The Hope Hermitage. All Rights Reserved.